Okay, we are kinda back on track with Project Chekov. The last post took us a little out of our targeted region. The good news is we are back in North America. On the disappointing front, I must have been drinking heavy in the digital darkroom one day based on the set of images that were planned for this post. In the pre-upload check it became apparent that every single one of them was beyond acceptable crispiness – translated, very soft and fuzzy. The entire set went into the trashcan! Every once in awhile a benefit pops up from having such a large backlog of shoots – there’s plenty of other bird images to choose from. Knowing we had taken a number of shots of this bird while out in Texas, I popped back into the digital darkroom and worked up a few replacement images. 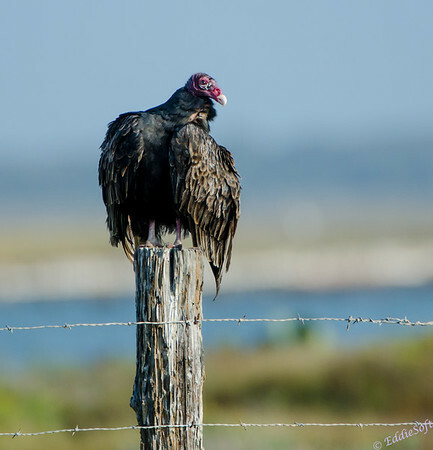 If you are from the Midwest at least, you might recognize these gruesome birds. That is if you happen to spot them when they are not cruising circles high in the sky. 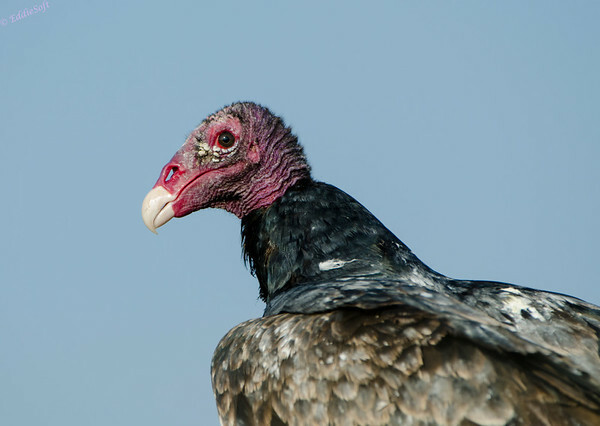 This hard to look at without grimacing bird is the Turkey Vulture. The bird is not new to the blog having been featured in a Wisconsin post (link here) and an Indiana post (link here). The posts from Wisconsin show the more common shots of them in the sky. The odd thing is they look pretty normal from below and their wing markings from underneath look pretty cool with the white nicely contrasting with the darker wing fronts. Now when they get on the ground it is a completely different story. The one above is trying to dry the grease and gunk on the wings collected from playing in whatever dead carcass they happened to find that day. Think this was mentioned in the previous post, but they even piss on their own legs to help kill the bacteria … yeah, imagine what it feels like to look at these creatures in the big glass. If you can get past the wings, you still have the face to deal with. 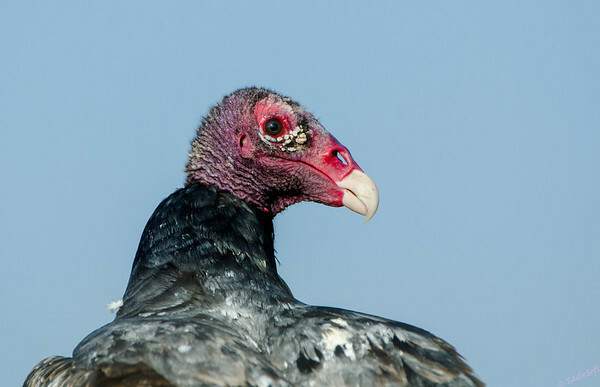 Take special note of that beak – their feet are poorly adapted for ripping and tearing the flesh and organs out of carrion – they literally stick their heads into the rotting carcass and rip and tear it apart with that fierce looking bill. Okay, this is making my stomach queasy so better end this post. Don’t get me wrong, these birds serve a valuable purpose in the circle of life, but some things are better left in the dark! Have a good one and catch you again real soon.